With the outset of the new administration in America, the American invaders have ratcheted up their tempo of using military force in our beloved country once more, intensifying night raids, drone attacks and bombardments. Notwithstanding that, they have turned to baseless propaganda and political pressures, thinking the use of force will compel the Afghan nation to accept their occupation. But,these are the same failed experiences of the former Soviet Union and the British Empire in the past which had no results. Even during the implementation of the new strategy in the past short period of time, the current invaders themselves witnessed their new strategy to be practically no more than failed one. For example, since its implementation a number of districts have collapsed at the hands of the Mujahideen or are about to collapse. It is to be mentioned that the current popular Islamic resistance has been continuing at its full momentum now for past decades with the help of the Almighty Allah. This resistance has not emerged and flourished in a single day but the Afghan people have given millions of sacrifices during the invasions of Red Army and America but still the resistance forges ahead in full swing and unremittingly. New generations come in and carry out their religious and historical responsibility. If the previous invaders and the current Americans and their allies are equipped with advanced weaponry on the one hand, on the other hand the Mujahideen are also armed with faith and popular support. Their objective is clear and sacred which is the end of occupation and establishment of an all Afghan inclusive Islamic system on their soil. 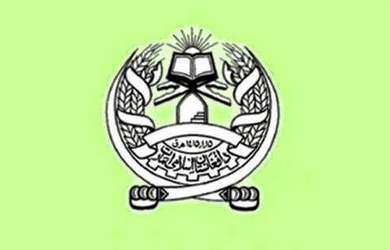 Islamic Emirate neither intends to interfere in the internal affairs of others nor allows others to interfere in Afghanistan. To reach this goal, it has kept open the way of peaceful understanding and dialogue but it must be mentioned that the self-serving definition of terrorism used for imperliastic goals has lost all value. Is it rationale that the invaders who occupied our country, martyred our civilians, exploit and destroy our resources should not be called terrorists but the true sons of this land and the Mujahideen who are defending their religion, country and the people should be called as terrorists? No sane person can ever accept it this false argument. We call on America and her internal and external allies to abandon the failed strategy of use of force and instead turn to the real solution of the issue. The roots of this current Jihadic resistance exist in the grooves of the nation. This is an undefeatable force, by the grace of the Almighty Allah. But still, if you intend to continue denying the legitimate rights of the Afghan Muslim nation, you have to fear the day when you will face disintegration from within like the former Soviet Union and not being able to handle it.